Research is definitive about the importance of nutrition on learning. Breakfast, often labeled the most important meal of the day, is also the meal that research says is missed most often. Eating a good breakfast regularly has been linked to improvement in academic performance and emotional and social functioning, and is also considered a determinant of a healthy lifestyle. 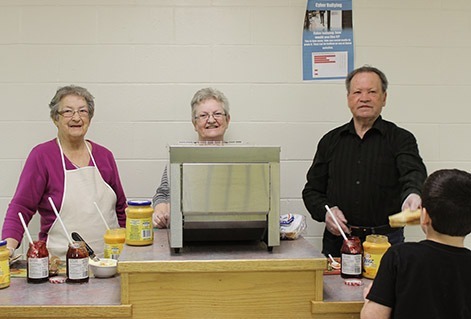 The Blackville School Breakfast Program ensures all children and youth attend school well nourished, improving their ability to learn, giving them the best chance of success in life. Each morning, toast and juice are provided for students, free of charge, before classes begin. This program is made possible through sponsorship from local businesses and groups. If you would like to become a breakfast program volunteer, please click the link below or contact Blackville School at 843-2900 for more information.